This is our review for the Biotherm Biovergetures healing and protection cream for stretch marks. The product offers a dual approach to maintaining healthy skin care, first by repairing existing tissue at the root of stretch marks, and then by improving your skin’s elasticity it works to prevent against future problems. Whether skin imperfections are recent, or if you have a long-term concern, regardless of the cause Biotherm’s Biovergetures cream-gel aims to target common discolouration whilst reducing the size of imperfections. The balance of ingredients included in this product make for a great smelling moisturiser, though it is somewhat lacking in active ingredients. As such this product should perhaps only be used for very minimal stretch marks. On the plus side the product has no colouring, so you don’t need to worry about staining any garments. As mentioned there are no particular health concerns with using this product, and so you shouldn’t worry about measuring your dose. No particular dose is recommended, though for effective treatment you are advised to apply modestly to affected areas every day. Users with allergies should always review the ingredients before use, this said though Biovergetures offers a very gentle formula, and so fortunately there are no particular side-effects to expect. The only thing worth mentioning is that if have sensitive skin, fragrances can cause some redness, or irritation. So if in the past you have found yourself to be too sensitive to use fragranced cosmetics, or perfumed soaps, then perhaps an option without added fragrance would be better. Depending on who you shop with, the price for the stretch mark prevention and reduction cream starts at around the $30 and goes up to around the $42 mark. Keep in mind that these prices are without varied delivery costs being added, so do be sure to shop around before making your purchase. You might also like to know that Biotherm do often offer discounts during clearance periods. The best way to keep track of when these happen is by adding one of their social media accounts, or by signing up to their email list. No money-back guarantee or warranty seems to be offered for this product, which may be something to keep in mind. Judging by customer reviews, this product seems to have little to offer to benefit serious problems with stretch marks. The Biotherm product is good if you’re looking for a gentle cream to hydrate and nourish your skin. It’s also a really reasonably priced item, even if you’re just looking for a moisturiser. If however you were looking for a really powerful product, then the ingredients here might not be suitable for you. Also beware if you prefer to avoid products with added fragrances. Finally, it’s a real shame that no warranty comes with this particular item, as most manufacturers now do offer some type of guarantee. 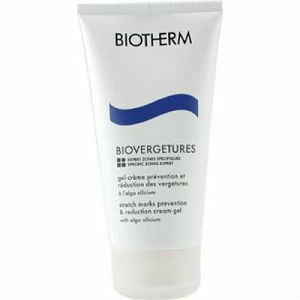 David Carney	reviewed Biotherm Biovergetures	on August 4th	 and gave it a rating of 2.5.